I am by nature a wimp. I bruise and scar easily. Loud noises hurt my ears. I get motion sickness just turning around in the front seat of a car. And I definitely do not like pain. When I made the appointment for my first post-cancer colonoscopy (absolutely not scheduled to air on national TV like Katie Couric’s! ), I told the secretary I wanted plenty of anesthesia because I had been uncomfortably awake during most of the procedure the first time with a different physician. “Be sure and tell the doctor,” I instructed her. But her casual “uh-huh” left me feeling that she didn’t think it was a real priority. “Write on my chart ‘Wimp—needs lots of anesthesia,’” I instructed her again. She laughed and I still wondered whether she knew how serious I was. My question was answered a few weeks later when I met my new gastroenterologist, Dr. Jim Srour, just moments before he started the procedure. The I.V. already was running into my hand as he read my medical chart. “I see it says here that you are a wimp and need lots of anesthesia,” he said without cracking a smile. “Yes, that’s me!” I exclaimed. He instructed the nurse to put more anesthesia in my I.V., and that is how and why Jim Srour became my favorite gastroenterologist! 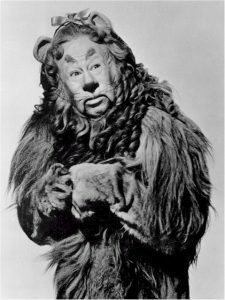 Like the Cowardly Lion in The Wizard of Oz, I often feel I could use a dose of courage, but it’s not usually as easy as getting a little more medicine in an I.V. tube. But I do believe it is possible, even if we’re not naturally brave, to supernaturally receive courage for ourselves and even enough to share with others. It’s important to understand that receiving supernatural courage is not the same as being a naturally brave person. It’s not something magical that happens to some people and not to others. No, you don’t have to go to Oz to find it. 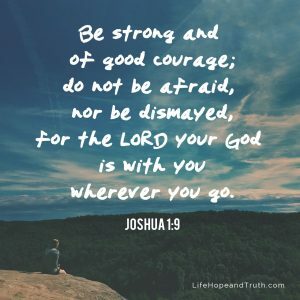 The kind of courage I’m talking about is what God supernaturally pours into our hearts—even into ordinary, wimpy hearts like mine—through the power of His Spirit as we draw close to Him. 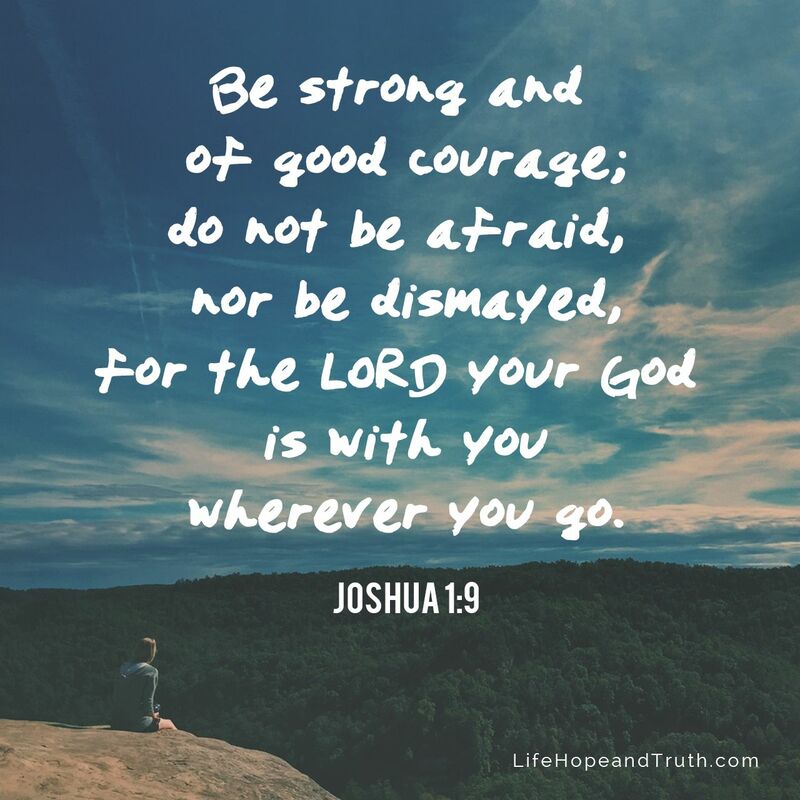 And when He does, others notice—especially if we’re in a difficult situation. Yes, it takes courage to live with life’s trials, but it’s not something we just have to reach way down deep into ourselves and find. No, instead, it’s power we receive from God to be strong even when we are weak. I know it is difficult to persevere in life’s trials, but I am convinced that it’s not the amount of our faith that gives us courage, it’s the object of our faith that makes all the difference. Whenever I place my faith in God, I find courage. I don’t need luck, natural bravery, or a trip to the Wizard of Oz! You don’t need a lot of faith to find courage, but you do need to place your faith in the only One who can meet your deepest needs. * M.Scott Peck, Further Along the Road Less Traveled (New York: Touchstone, 1993), 23.